Endless possibilities here !!! This split - level has 4 bed, 3 full baths, extra family room, enclosed porch, open porch, attached garage, detached garage, extra storage shed, in - ground pool with pool house, on over an acre of private land. Tioga Hills Elementary School Elementary School / Public 6 0.92 mi. Vestal Middle School Middle School / Public 7 5.33 mi. Vestal Senior High School High School / Public 8 3.86 mi. Apalachin Elementary School * Pre-School, Elementary School / Public 5 2.6 mi. Ross Corners Christian Academy * Pre-School, Elementary School, Middle School, High School / Private N/A 1.14 mi. Thomas J Watson Sr Elementary School * Elementary School / Public 4 1.63 mi. 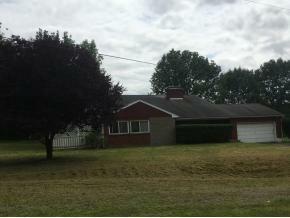 736 Tobey, Apalachin, NY 13732 is a 4 bedroom, 3 bath single family home was sold for $66,665.